Julyrush is a China based VPN provider that aims to deliver fast and dependable VPN service to its customers. Established in 2009, the company has expanded well in the last few years and it now boasts of VPN servers in 11 different countries. In this detailed Julyrush Review, we check out the features offered by the service and evaluate whether it is worth the subscription price. Julyrush has VPN servers in 11 different countries. Its servers are located in United States, France, United Kingdom, Japan, South Korea, Hong Kong, Netherlands, Germany, Sweden, Iceland and Vietnam. Although the choice of server locations is limited, it would nevertheless help you to bypass ISP and Government filters and unlock sites like Gmail, Facebook, Hulu, Netflix, Twitter, YouTube, Pandora and BBC iPlayer among others. 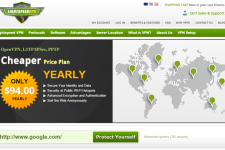 The company also allows unlimited server switches within the countries covered in your plan. Since the company is based in China, it offers guaranteed connectivity from the country. So if you are expat residing in China or a business traveler who is visiting the country, Julyrush would be a great choice for you. The service offers unmatched speeds with unlimited bandwidth. The company has excellent infrastructure in place that allows you to watch streaming movies, download content as well as unblock sites without experiencing any lag or delay. Julyrush allows P2P activities from its Netherlands server which makes it a great choice for torrent lovers. Julyrush provides very best security and protects your personal details and IP address at all times. The service supports most secure VPN protocols and uses high level of encryption to deliver unmatched security and anonymity. Julyrush supports a wide range of VPN protocols and systems. The service offers support for OpenVPN, SSH Tunnel, L2TP/IPsec, L2TP (Cisco) and PPTP protocols that allows you to connect to the service through Windows, Linux, Mac OS, iOS and Android based computers, smartphones and tablets. You can connect to the service from 2 different devices at the same time. The Julyrush team offers customer support through email, ticket system and remote desktop. The official website also has an excellent knowledge-base section which would help you to get answers to common technical problems. Julyrush offers several subscription plans to suit everyone’s budget. The unlimited plan starts at $9.90/month and provides access to all VPN servers. 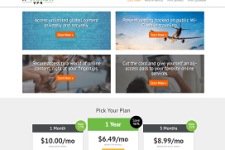 The company also offers a US or EU plan that starts at $5.90/month and gives you access to just US or EU based servers. The company is one of the very few VPN providers that allows to you to set up your own VPN server at a location of your choice for $19.9/month. The server offers private and static IP addresses with private bandwidth that is not shared with other customers. The company offers significant discounts on long term plans and it is also possible to save money by using Julyrush coupons. Julyrush offers an unconditional 3 day money back guarantee to allow you to test the service and get a refund if you are not happy for some reason. Overall Julyrush is a reliable VPN provider that delivers the goods. 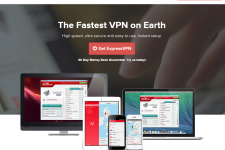 It is one of the best VPN providers for customers based in China and offers great speeds with unlimited bandwidth. If you are looking for a VPN provider that provides fast and reliable service and works well from just about anywhere, especially from China, then you got to consider Julyrush VPN service. For more information, please visit: www.julyrush.com. Agreed. Thanks for the recommendation.